Haydn&apos;s F minor string quartet was written in 1771, which takes us back to the earliest days of the genre. I mentioned briefly in our very first lecture something of the string quartet&apos;s origins, which were in early eighteenth-century orchestral groups. The two violins there tended to function in what&apos;s called a "trio-sonata" texture, weaving in and out of each other&apos;s line, frequently overlapping; and the viola and cello tended to supply little more than the functional bass part. All this means that the famed "equality" of the mature genre was initially nowhere to be found, except in those "trio-sonata", interweaving upper lines. So the string quartet started life as a kind of minimal orchestra, for performances in smaller venues, many of them domestic. But by the 1750s it had taken on a life of its own, soon becoming the most common chamber music ensemble of the later eighteenth century: first in Germany and Austria, then spreading, with the spread of its repertoire, to other European countries. What is important, though, is that this "life of its own" came about during, and was profoundly influenced by, an important, Europe-wide change in musical style. That change used to be labelled by music historians as a shift from the "Baroque" to the "Classical" period, something initially thought to have occurred, as if by the stroke of some magic wand, one dark night in 1750 (the coincidence of the half-century with the death of J.S. Bach, the greatest "Baroque" composer, proved irresistible); now, however, the style shift has been pushed back in time and, like all such changes in artistic expression, made irremediably muddy around the edges. There is, though, general consensus that a new type of music-writing began to emerge in the first decades of the eighteenth century: one that was made internationally prominent in the 1720s and 1730s in the Italian operas of composers such as Leonardo Vinci and Johann Adolf Hasse. British music historian Charles Burney, summing up Vinci&apos;s manner later in the century, was in no doubt about its merits. For him, Vinci had broken new ground by "simplifying and polishing melody, and calling the attention of the audience chiefly to the voice part, by disentangling it from fugue, complication and laboured contrivance". This was, then, a kind of new simplicity: a style that was geared towards pleasing (rather than impressing) the listener, and that achieved this by concentrating on clearly-defined melody, and by rejecting the contrapuntal complexity associated with the previous generation. I could put this another way and say that Bach&apos;s music, ultimately, was written for the glory of God; and God, as befitted a stern old character with a grey beard, was prone to be rather severe in his musical taste. Vinci, Hasse and the mass of instrumental and vocal composers that followed them, on the other hand, wrote for audiences: fallible, fickle, all-too human groups of real people. These composers communicated in (a new term) the "galant" style; and, as Voltaire said, "being galant means seeking to please". Haydn was one of these new-style composers, although, as we shall see, it was part of his special talent that he never thoroughly forsook the old, "laboured contrivance" way of writing music, then increasingly referred to as the "learned" style. He was born in 1832 in modest circumstances in a village in lower Austria, gained his musical education as a choirboy in Vienna and then, when nature took its course, earned a living in the capital of the vast Austro-Hungarian empire, by all accounts somewhat precariously as a "freelance" composer. A generation earlier and"quel horreur"he might have graduated from being a choirboy to being a castrato; but probably not, as his singing voice, though true, was reported as not particularly pleasing. During the late 1750s, already well into his twenties (that is, at an age when Mozart, twenty years his junior, would have been reaching the height of his tragically short career), Haydn wrote his first string quartets. They were among the first in the new genre, were resolutely in the "galant" style, and"in part to reflect this"were called "divertimenti" rather than anything more grand. These early efforts are in five movements (two minuets flank a central slow movement), and, while showing in generous measure Haydn&apos;s unfailing rhythmic invention and melodic charm, do not otherwise distinguish themselves notably from the music of his contemporaries. Indeed, six of the early quartets, revered by generations of connoisseurs as Haydn&apos;s "Op. 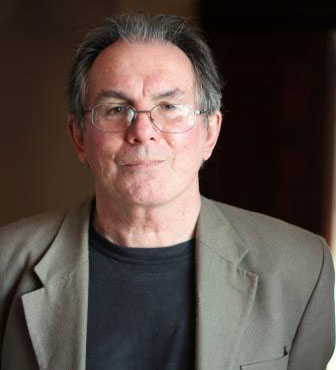 3", were revealed in the 1960s to have come from the far less distinguished pen of one Roman Hoffstetter, a German composer who might have remained a complete stranger to fame had these quartets of his not been mistakenly attributed to his great contemporary. Entries on poor Hofstetter in modern musical dictionaries (he is not, they warn us, to be confused with his brother, Johann Urban Alois Hosfstetter, who was"as I&apos;m sure everyone here knows"an officer in the Franconian province of the Teutonic order) tend to concentrate almost exclusively on these fugitive pieces. Of the many modes of entry in the musical hall of distinction, one feels that Hoffstetter&apos;s must be among the most unglamorous. It was only at the end of his first decade of service that Haydn again turned to the string quartet. His neglect is not surprising: there is no record of quartet performances at the Esterházy court, so why would he write them" Quite possibly, though, he found he was able to earn extra money by selling the music to patrons elsewhere, thus cashing in on his burgeoning national and then international reputation. Whatever the reason, during the late 1760s and early 1770s he produced three sets of six quartets, all of them now in four movements rather than five, and gathered into opus numbers for publication as Opp. 9, 17 and 20. Although some of these quartets retain aspects of the "divertimento" character of his earlier pieces in the genre, many of them show a decisive change of mood and reach: for reasons that also remain unclear, Haydn decided to devote to the quartet a new seriousness of approach, to imbue it with what we might call added aesthetic weight. And this experiment, if such it was, proved enormously influential. These eighteen string quartets are the first to have retained a firm place in the repertory, and they launched further sets of quartets, first by Haydn himself (his Op. 33), then by Mozart in emulative sympathy (his six "Haydn" quartets), eventually by Beethoven and Schubert and so on and on. Our quartet today, Op. 20, no. 5, is one of these eighteen works; indeed, it&apos;s probably the most famous of them, and certainly one of the most interesting. It marks, in other words, the beginning of an extraordinary musical journey. The first thing to notice about the quartet is that three of its four movements are in the same key, and that key is F minor: only the third movement, a beautiful Adagio, is in the major. To cast music in the minor was not in itself so unusual for the period; but it is the prominence and the nature of this minor key music that is so innovative. I talked a moment ago about the genre bearing a new "aesthetic weight", and here immediately is a good illustration of what that term might mean. Haydn, we might imagine, set out to test the limits of what the minor mode could express in this newly serious instrumental combination. The opening of the first movement announces this, and to great effect. The first violin melody, clearly (as for most of the quartet) the "soloist", opens with a strangely subdued, plangent melody, full of angular chromatic intervals; and the lower strings, obviously an accompaniment, add urgency with their constantly reiterated four-note motive. Here&apos;s that first theme, played on this recording (and in all subsequent examples) by the Quatuor Mosaïques on historical instruments. PLAY TRACK 5, start to fade at 0&apos;.30"
This is, as you can hear, a far cry from those extrovert, uncomplicated "divertimenti" that had been the expectation only a decade before. If anything, though, the continuation of the movement is even more surprising. We faded out on a brief, subdued transition passage, with sustained upper strings and repeated notes in the cello; after that, the angular opening theme and its insistent accompaniment return, this time in the relative major. But after two bars of that we suddenly break into an entirely new configuration. The cello sustains again, the viola has offbeat octave leaps, and the two upper strings indulge, of all things, in a little cameo of "trio-sonata" texture, weaving in and out of each others&apos; register for all the world as if they are in a movement by Corelli or Bach. After this remarkable injection of another musical world-in the parlance of the time, an indulgence in the "learned" style-the second main theme of the movement emerges, and again proclaims its difference from what has been before, with cello and the two violins moving purposefully together in a little circular melody (noticeable above all for its dotted rhythm), and with the viola holding an internal pedal note. From there, the exposition of this first movement unfolds with a constant alternation of these different textures, never settling for more than a few bars before again shifting in shape and texture. Let&apos;s listen to the entire passage (effectively the first half of the first movement) and follow that ebb and flow. PLAY TRACK 5, start to fade at 1&apos;.47"
Those opening moments of the quartet set a tone, and a level of textural complexity, that rarely ceases throughout the quartet. Listen out in particular for the first movement&apos;s remarkable coda, which takes us into strange harmonic regions, explores the entire range of the quartet&apos;s compass, and then ends quietly, drawing us back to the somber mood of the start. One modern commentator has described this movement as "the first piece of tragic music composed in the classical period", and that&apos;s surely an exaggeration"Gluck"s Orfeo was written ten years earlier, and this music is anyway too understated, too edgy to be called "tragic". But of its newness there can be no doubt: performers or listeners coming to the string quartet medium in the hope of uncomplicated diversion and sprightly dance tunes were greeted with a severe shock: Haydn was suddenly making new demands. We must, alas, pass across the subsequent movements more briefly. The minuet comes next, and reinforces the mood of the first movement in many surprising senses. Most obviously, this traditionally simple dance movement is also in F minor, and begins in much the same mood as the first (indeed, with a very similar, rather angular melody and that insistent, four-note accompaniment). You&apos;ll also notice again the constant changes of string quartet texture: although the first violin dominates, the underlying parts never remain in one pattern for more than a bar or two. In short, this usually predictable movement is, like the first movement, given a new sense of complexity and severity. PLAY TRACK 6, start to fade at 0&apos;.56"
Incidentally, this Minuet has a conventional contrasting Trio, which is the quartet&apos;s first foray into F major. There are, I think, various ways to interpret this highly unusual section, but its simplicity might be imagined as a brief glimpse of the "divertimento" world left behind: certainly it&apos;s the most predictable music in the entire quartet; something that makes the subsequent return of the minor mode Minuet all the more surprising. There&apos;s no need to play you any of the third movement, which communicates very directly. It&apos;s a kind of theme and variations, with a very simple and almost unchanging rhythm for the lower three instruments, but featuring ever more elaborate figuration for the first violin. The central point of the movement, and its potential beauty, is in a kind of inner tension between its basic character (which is an easy, 6/8 "siciliano") and the slow tempo (it&apos;s marked to be played Adagio), which is needed in order to accommodate all the fancy figuration that flowers forth as the movement progresses. This tension makes it far harder to perform than it might sound: it&apos;s not at all easy to keep the main melody convincing at this abnormally slow speed; but of course that reversal of the expected is, as ever, part of Haydn&apos;s great gift. In many senses, the fourth movement is, at least for us today, the real shock. Rather than the usual, witty Presto that tends to finish works such as this, we have a return to the minor, and a dive into the most "laboured contrivance" imaginable: a fuga a due soggetti, a double fugue, no less, beginning with one of the most commonplace subjects of the previous generation (listeners today may recognize it from the chorus "And with his stripes" from Messiah, which also happens to be in F minor, but the same sequence of notes is found in innumerable minor-key fugues). The counterpoint is ferociously strict throughout, and culminates in a canon between the cello and first violin, something proudly labeled in the score, just in case we missed it. In some ways, this finale is clearly a culmination of what has gone before: the angularity of the first fugue subject is at least akin to that found at the start of the first movement, and the countersubject has that insistent four-note rhythm of the first movement&apos;s initial accompaniment. And of course its unashamed dive into "learned" style chimes in with the frequent dives into "trio sonata" texture that we saw in the first movement, and with the austere severity of the Minuet. On the other hand, there is of course none of the variability of texture that has so far characterized the quartet: fugues are fugues, and so the absolute equality and independence of the voices is a sine qua non. Let&apos;s hear just the opening, so that you can get the texture in your mind, and register the shapes of the two soggetti, with their reminiscences of earlier parts of the quartet. PLAY TRACK 8, start to fade at 0&apos;.40"
What was Haydn doing here" Some commentators have suggested that he was experimenting with a kind of artificial equality. While the first violin has tended to dominate in previous movements (albeit with much variation of the lower instruments&apos; disposition), here all four instruments are perforce independent of each other. That is certainly one explanation; but more powerful, I think, is again the new sense of seriousness that emerges from the quartet. Again Haydn reminds us, as so often in this wonderful work, that the combination of these four string instruments is not, or not merely, a medium of easy entertainment; that the most demanding musical idioms are now within its grasp. As I mentioned near the start, this was a challenge taken up, to our great good fortune, by generations of composers that followed Haydn in trying their musical skills against this medium. We&apos;re nearing the moment when the talking stops and the music begins, but before introducing once more the Badke Quartet, I did want to mention a further aspect of Op. 20, no. 5, one that I know has concerned them. When compared to, say, the Bartók or Debussy quartets we have heard in previous meetings, this work will on one technical level be judged an easy option. Amateur quartets can chug through it passably, after all; groups play it who would graciously retire to the bar if Bartók were placed on their music stands. But this simplicity is, or can be, deceptive. Most modern professional quartets are, I think, confused by the work: by its combination of evident seriousness and its general restraint. Much of the music is marked to be played "piano", but nevertheless calls for sustained intensity. The temptation is to ignore the dynamics, dig deeper into the string, widen the vibrato; make it, in short, a bigger, more demonstrative work than it is. Haydn&apos;s Op. 20, no. 5 is, if anything, best understood as poised on the edge of modernity; certainly it looks forward to a tremendous heritage; but it also looks back, not least through its nostalgic love of "laboured contrivance": back to a musical world that was fast disappearing, and whose loss could engender melancholy as well as thoughts of new horizons. 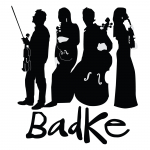 Here to play the quartet for us, as always, is the Badke Quartet. Please join me in welcoming them: Heather Badke (first violin), Emma Parker (second violin), Matthew Jones (viola) and Jonathan Byers (cello).